Whether pursuing Business and Career Development or Moving into one of the many established residential communities, Halton is an ideal choice to Work, Live & Play. Ontario’s Halton region has truly developed into an ideal destination for living a quality lifestyle. 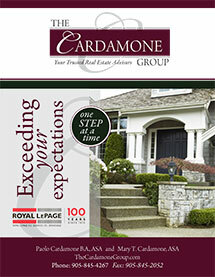 Within the Halton region, the municipality of Oakville has always been a special place for The Cardamone Group. The southeast downtown area of Oakville is a fantastic destination for one-of-a-kind businesses and eateries. More specifically, just across the street from the Downtown Oakville Royal LePage office, there are several unique spots to discover. 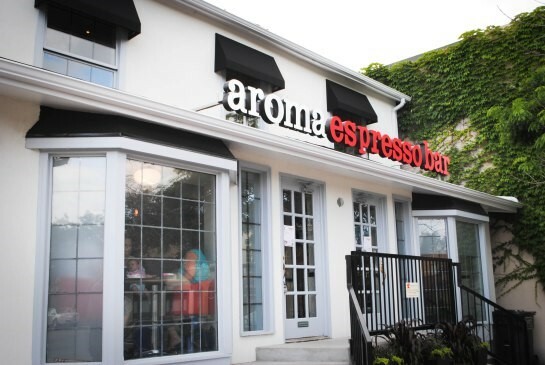 One of those special places is the local, cozy Aroma Espresso Bar located on the northeast corner of Lakeshore Road East and Reynolds Street. This particular Aroma Espresso Bar has a wonderful modern interior with a 2nd floor lounge area providing plenty of comfortable seating and daylight. The space is perfect for any occasion whether having a nutritious meal with family and friends, a coffee over a productive business meeting or perhaps indulging in a sweet treat while taking in the downtown landscape. Relaxing contemporary music is always playing in the background and is complimented with a truly genuine owner and staff who know you by name usually by the 2nd visit. Enjoy some of the smoothest espresso that Lakeshore Road has to offer. If fine dining is more your pleasure, Julia Ristorante offers a cultural fusion of traditional Italian and Nuevo Latino cuisine. Julia Ristorante’s overall philosophy revolves around the idea of, ‘a fieryblend of cultural cuisines.’ In recent history, the restaurant completed a beautiful and sophisticated renovation to the entire dining space to match their avant-garde menus. Their interior space has evolved to convey a fine balance between classic and contemporary design. Owner Julia Hanna believes that “Family is whoever sits around the dinner table”. 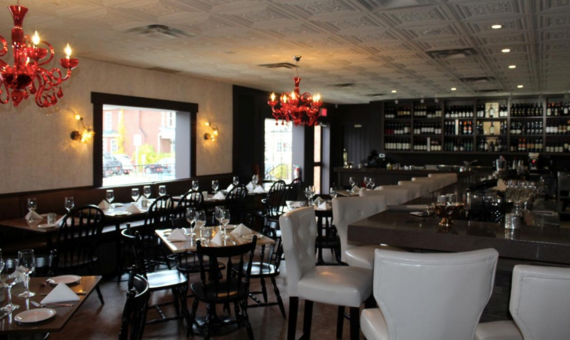 She has consistently embraced this mentality in the overall culinary experience at all of her Oakville restaurants including her north Oakville foodie destination, Ritorno. 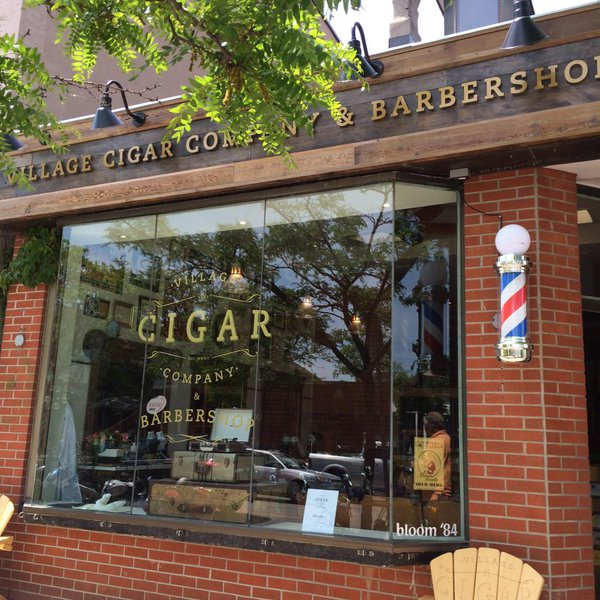 When it comes to retail business, a new unique tobacconist and barbershop has arrived in Downtown Oakville. The passionate owners of Village Cigar Company & Barbershop came with a strong vision and transformed this unique retail space (formally Bloom ’84 Flower Shop) into a modern and hip space for male grooming products and services as well as offering fine tobacco products with a focus on high quality signature cigars and cigarillos. To help pass the time on any day, experience their traditional hot shave and barber cut, finishing with a relaxing sit down in one of their branded Muskoka chairs while enjoying an imported cigarillo. An Oakville resident for 35 years, Paolo graduated from Oakville Trafalgar High School and then attended Ryerson University. Paolo continued his education at the International Hospitality Tourism & Training Institute in Switzerland earning him a B.A. in International Hospitality & Tourism Management from Bournemouth University in England, allowing him the opportunity to live and work in the Caribbean, Europe and Western Canada. His management and customer service experience working for luxury hotel brands has proven to be an asset in his Real Estate career. Paolo partnered with his mother Mary T. Cardamone, in November 2007 and continue to be in the Top Groups within Royal LePage Residential Sales Force Nationwide. Paolo is an active member in the community and has worked on several committees with the Downtown Oakville BIA. Paolo assisted in the organizing and production of the Downtown Oakville Jazz Festival. As a member of the Oakville Chamber of Commerce, Paolo most recently became the Co-Chair of the Young Professionals and Entrepreneurs Group (YPEG). YPEG is a forum to engage young professionals and entrepreneurs through connection, collaboration and learning opportunities that enhance and support the Oakville business community. For leisure, Paolo enjoys spending time with his wife Jennifer, his dog Mercer, playing golf and ATV'ing with his family.